Sam, one of the last survivors on a post-cataclysmic Earth, is a young scientist dedicated to finding a way for humans to adapt and survive, rather than abandon their world. But with the final shuttle scheduled to leave the planet for a distant colony, her determination to stay is rocked by the arrival of another survivor, Micah. She must decide whether to journey with him to join the rest of humanity and begin life anew, or stay to fight for Earth’s survival. 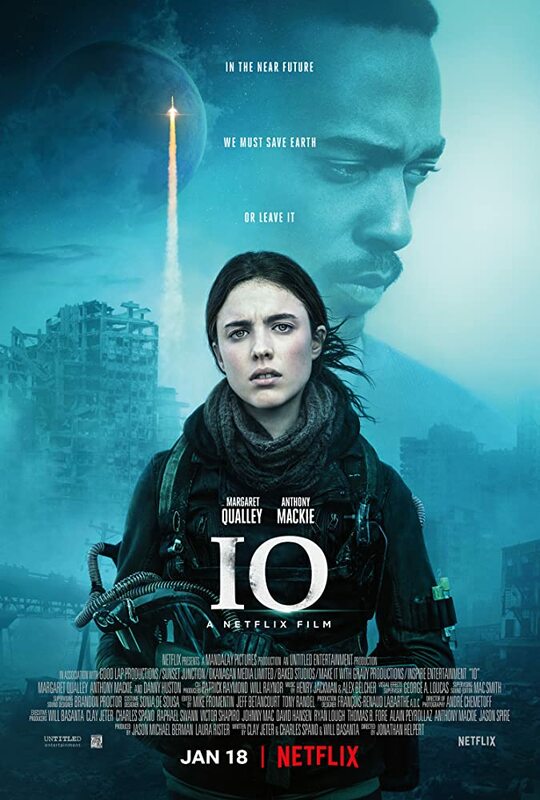 IO stars Margaret Qualley, Anthony Mackie, and Danny Huston and premieres January 18, 2019 only on Netflix.